As a member of top selling group AVALON, Jody McBrayer has been responsible for some of the most powerful and moving vocals in Christian music. His first solo album features soul, R&B, easy listening and Latin elements. 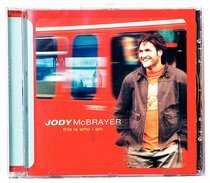 About "This is Who I Am"
Jody McBrayer is one of Christian music's most decorated vocalists. Fans will remember Jody as the powerhouse tenor with Truth (1991-1992, 1994-1996) and Avalon (1006-2007). During his hiatus from touring, Jody has served as a worship leader for several organizations and recently Friends Church in Yorba Linda, CA.